In the northern hemisphere, autumn is well on its way and winter is coming. In northern Europe and Canada particularly, the effects are very noticeable, as nights get longer and days colder. As India's premier visa consultancy, MoreVisas help people start new lives around the world. If you already had your Canadian visa or were living and working in Europe, these are some of the festivals you would see celebrated at this time of year. While some of the traditions are very old, Halloween as it is now celebrated is a new festival, without religious links. It's most popular in North America but is spreading into Europe. 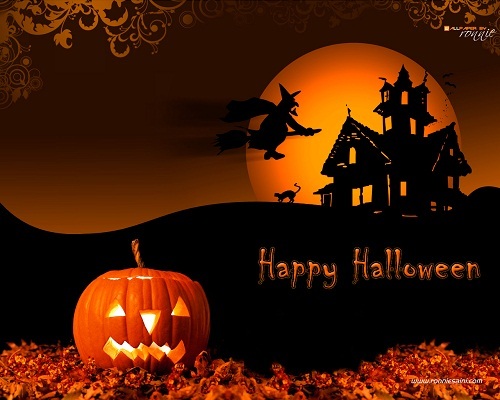 Halloween is 31 October, but often celebrations are moved to the nearest weekend. It's a light-hearted celebration of things that are spooky, mysterious and a little bit scary, taking the fangs out of the monsters. Costumes are a key part of the holiday, and you'll see people dressed up in schools, for parties, and even sometimes at work. Children in North America go from house to house in their neighbourhood, dressed in costumes, on Halloween. They are given sweets or other small gifts. Adults typically celebrate with a costume party, either in someone's home or in a local bar or pub. It's a holiday anyone can join in, so if your USA visa arrives in October, pack a costume in your case! Directly following Halloween, All Saints' Day is 1 November and All Souls' Day is 2 November. These festivals have retained their religious links. All Saints' Day is an important Catholic festival, and is widely celebrated in Catholic countries, particularly in southern Europe. It commemorates all the saints, the holiest of people. These were often martyred for their faith in Christianity's early years. All Souls' Day is a time to remember all the beloved dead. On 5 November, British people commemorate an attempt to blow up the Houses of Parliament in 1605. The bomber, Guy Fawkes, was unsuccessful, and his capture is celebrated with large fires, fireworks and often roast potatoes and other foods. This is a non-religious holiday celebrated only in Britain. It's a community festival, so if you're in Britain with a UK student visa or a UK work permit, look out for notices of fireworks and bonfires at schools, community centres or churches. In Europe and North America, many crops ripen in the autumn. As a result, it's historically been a time of plenty, where everyone had enough to eat. Celebrations are most common in Europe, where they take different forms in different countries. Churches often organise religious services, to give thanks for the harvest. Schools and community centres also celebrate, usually without any religious element. Food is a key element, with many celebrations involving a collection of food items to feed the hungry.